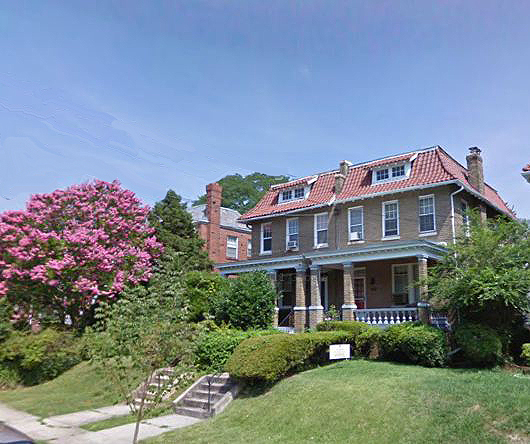 If you want to live and work in Washington DC, you owe it to yourself to check out the Crestwood neighborhood. Bounded on three sides by Rock Creek Park, Crestwood is an entirely residential area. Here you can find an affluent community that tends to be well educated, historically rooted in the civil rights movement and who delight in the many cultural activities the area enjoys. The heart of the community could be described as the Carter Barron Amphitheatre that hosts numerous concerts and cultural events during spring and summer. The area residents also enjoy the William H.G. FitzGerald Tennis Center. A highlight of the year is the Legg Mason Tennis Classic. The area is centrally located and just well served by both the Green and Red Lines of Metro Transit. Crestwood has a population of about 2200 and property has a median value of $775,000. The homes are well kept and feature single family homes with lawns. Crestwood values education and the schools here are well equipped to care for the schooling needs of today. When you add it all up, Crestwood is a great residential neighborhood with excellent access to all the conveniences and culture of the nation’s capital. Crestwood values diversity, culture and a sense of community. What could be better than living in a well-kept neighborhood so close to all that makes Washington DC the mother city of a nation. If you have been looking for the perfect place in the capital area to call home, Crestwood real estate might be the best choice for you!